Packing, the worst part of any trip, is a pain because nearly all of us just make it up as we go along. Filling a suitcase is a rushed disaster that begins as late as possible and ends in a flurry when our ride to the airport honks in the driveway. But you know who are taught to pack, and who treat it like a high art? Marines, soldiers, airmen, and sailors, that’s who. 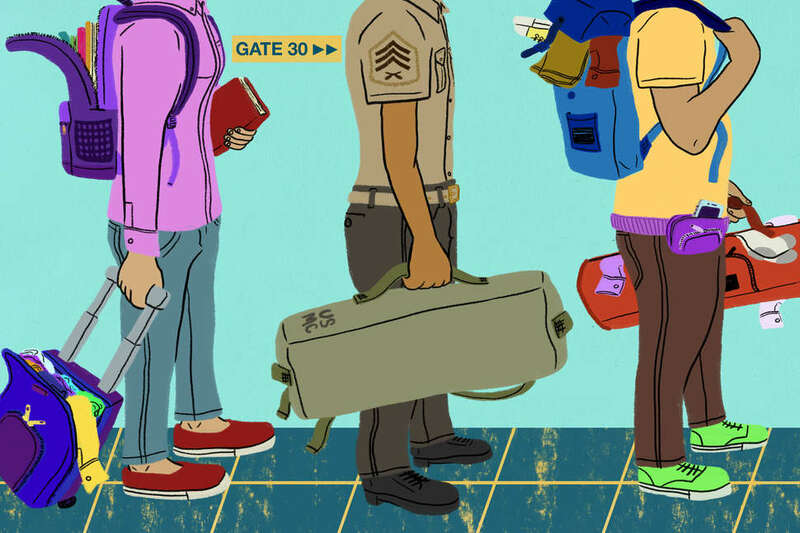 US military servicemembers can probably shoot better than you, stand at attention longer, and almost assuredly pack a tighter, smaller, better-balanced suitcase or backpack than anyone else in your boarding zone. So we’ve interviewed a bunch of them to compile their best packing tips and tricks -- none of which involve sitting on your bag until it barely zips. 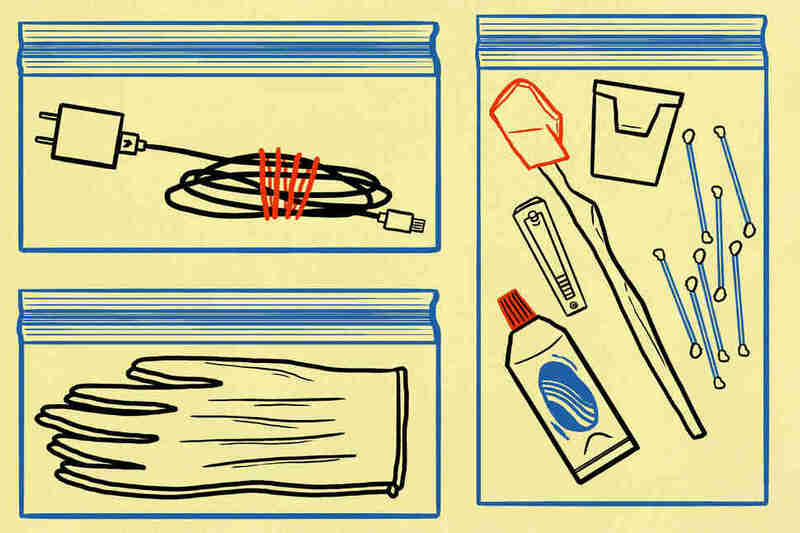 You want to know the super-surprising way service members become excellent at packing? They practice. Weird, huh? The tip we heard the most was to pack, unpack, and repack your bag a few of times before you depart. Not only does packing and repacking help you get better at it, it also helps you memorize where you put stuff in your bag, so you can quickly access it once you arrive. 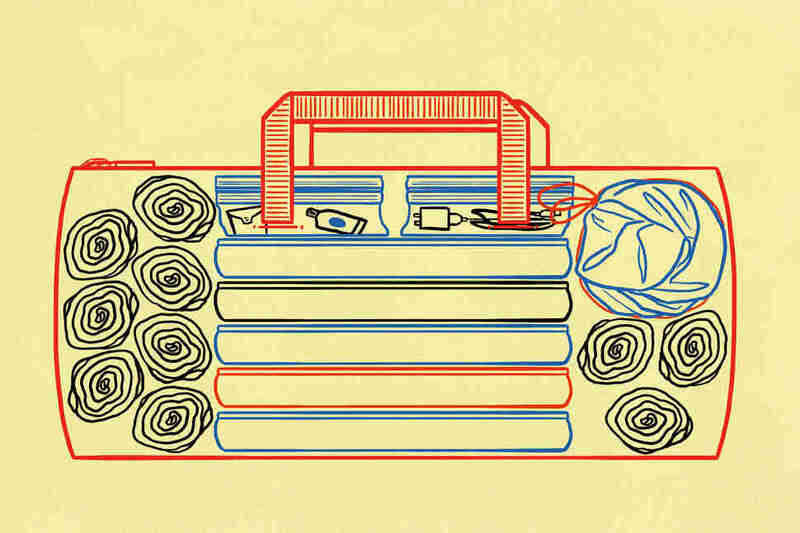 The best way to put together a functional bag, one logistics officer advises, is to pack in “reverse order.” Think: The first items in are the last ones to come out. So the pajamas you’ll need on the first night at your destination? Pack those last so they land on the top. The extra pair of pants you may not need? Pack those first, at the bottom of the bag. If you’re carrying a backpack, your body will thank you. A drill instructor suggested putting “whatever weighs the most in the center of the backpack and closest to your spine, so it centers the weight on your body rather than pulling back on you.” This makes the bag easier to carry. Once you think through the weight of your items, get specific about their shape. It’s helpful to fold everything into uniform sizes and shapes because it makes tidier stacks of clothes that fit side-by-side more evenly. Imagine you’re playing Tetris, but with folded underwear. 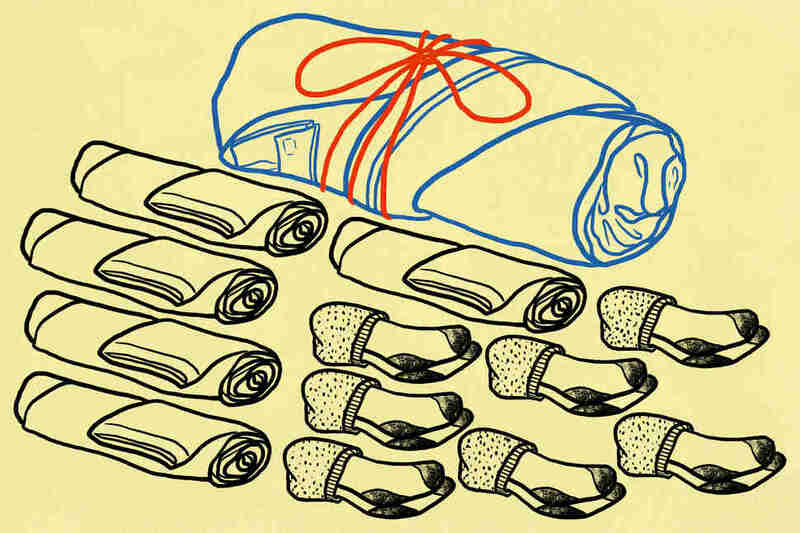 As for bulkier items like jackets, scarves, or sleeping bags, try rolling them instead of folding. One veteran tells us he rolls bulky items tightly and then ties them with a cord to keep them under control. Another way to visualize your packing strategy is to arrange items the same way you would use bricks and mortar to build a house. Says one servicemember: “Shoes and small bags act as bricks (aka building blocks). Shirts, jackets, underwear, and pants act as mortar that fills the space in between.” You’ll end up with a suitcase whose contents are less prone to shifting during flight, as the saying goes. Speaking of empty space, you might as well plug all of it with rolled-up socks. They’re great to have around and keep your bag firmly packed, so bring plenty of them. “Your feet do a lot of work when traveling,” says one sergeant. When your travel plans include long hours on your feet, consider that Marine Corps recruits are required to change their socks during hikes for the sake of stamina. “Socks tend to get damp when hiking or walking around all day, and damp socks means blisters,” says one drill instructor friend. In order to pack one big bag well, you need smaller bags to organize the stuff inside. For example, you might pack a small bag for electronics and their cords, a bag for toiletries, a bag for hats and gloves. No need to get fancy; Ziplocs get the job done, or a zippered cloth bag. One bag you’ll definitely want to pack on top? A “go bag,” almost like a floating pocket. One Marine swears by it. “The contents depend on the trip,” he says, “but think of things you’ll need quickly and most often: documents/paperwork, phone charger, headphone, snacks, a couple toiletries, and either a change of clothes or layers depending on the environment.” Naturally this should be at the top of your backpack or suitcase. Military members are notoriously loyal to their gear, so it shouldn’t come as a surprise that they advocate getting a backpack or suitcase that you really love. Notice he didn’t say “money,” but feeling strong, moving fast, and staying small are all benefits that most people would pay handsomely for. All you really have to do to achieve those is get organized. Bekah DiFelice is a Vespa-riding travel enthusiast who tends to overuse the word "literally." Her first book Almost There: Searching for Home in a Life on the Move will be released in July.